﻿ There’s always been contention over which of the Gallagher brothers is the best, and in 2017 with the two coming out with new material in such close proximity to one another, one could be forgiven for bringing that argument up again. But while Liam’s As You Were was the sort of one-dimensional Oasis ripoff that was easy to predict from someone whose post-Oasis career has been entirely defined by just that, Noel’s further output was always going to be more interesting. He can actually sing for a start, but his work with the High Flying Birds, particularly on their self-titled debut, has spawned a brand of post-Britpop that doesn’t shamelessly stripmine the ’90s, rather using that as a foundation only and building something a bit more substantial on it. It’s much more preferable too, serving as a listenable approximation of where a man now in his fifties should be without putting too much of an onus on the past. With Who Built The Moon? then, it’s nice to see that the same idea has been applied again, this time opting for something closer to colourful psychedelia to augment the Britpop and indie-rock framework. It’s far more novel and inspired than anything that As You Were had to offer, but that doesn’t necessarily make it better. Rather, in his attempt to embrace the more joyous side of his musical lineage, Who Built The Moon? sees Noel lacking much primary form or structure, and ends up as a watery, unflattering blob that As You Were at least had the good graces to avoid being. Overall, it’s difficult to say which is actually better when neither are really that good; Noel’s efforts are at least a bit lighter with fewer drab tones, but when they’re as weakly utilised as they are here, that doesn’t exactly amount to much. That the efforts are there is at least worth some credit, though, and there are instances where Gallagher and his band manage to build something solid out of them. There’s something of a classic rock stomp to Holy Mountain thanks to the blaring horns that aren’t entirely unlike a Rolling Stones song, and though it’s a bit slow to start off, It’s A Beautiful World tags a skittering, Moby-esque beat to Elbow’s gauzy symphonic pop in a move that actually adds a bit more backbone to what could’ve been more airy swell. When it works like this, Who Built The Moon? certainly isn’t a bland album, and even in its less impressive moments, there’s a knowledge of layering that results in a broader, brighter soundscape than another album of prosaic ’90s worship. But all of this is capped fairly early, and Who Built The Moon? ends up as unresponsive as most modern psychedelia and lacking in the gumption and beef needed for a project associated with Oasis. The screeching intro track Fort Knox doesn’t exactly make a great first impression, and a further two perfunctory interludes only serve to show how needlessly bloated this album is. She Taught Me How To Fly and The Man Who Built The Moon are even more telling in that regard, embedded with a possible germ of a good idea that’s trampled by wall upon wall of “experimental” sound effects that strain any sort of melody to the point of unrecognisability. Even if Be Careful What You Wish For and Black & White Sunshine pull back more of the needless layers, they still breeze by with an effortlessness that throws away any real definition for hazily-outlined soundscapes. It doesn’t help that a lot of the songwriting abides to a similar philosophy, where Noel’s bad habit of throwing in words and lines simply for a decent rhyme makes a return to further emphasise just how ephemeral so much of this album feels. At the same time though, the fact that this is an album veering in a new direction shows that Noel and his band do still have something of a creative impulse, contrary to what so many of their contemporaries have shown off. It’s also an album that can’t correctly manage to impulses to any significant degree, and Who Built The Moon? ends up as one of the most throwaway efforts that Noel has produced to date. Especially compared to his early work with the High Flying Birds, this is a massive step down in both construction and just overall memorability that, for the Gallagher who has often proved to be the more talented with the larger creative breadth, should be looking to surpass by now. 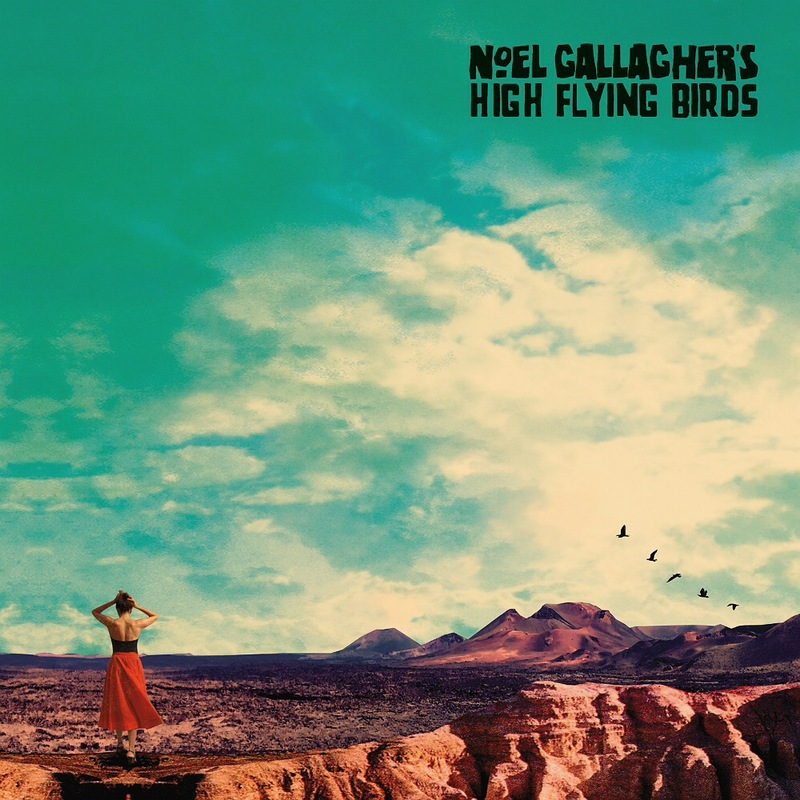 ‘Who Built The Moon?’ by Noel Gallagher’s High Flying Birds is out now on Sour Mash Records.